There’s a quote by an author named Nadia Scrieva that says “Each meeting occurs at the precise moment for which it was meant. Usually, when it will have the greatest impact on our lives.” Some friends are destined to cross our paths, and when they do, the leave a mark that will remain with us forever. And that is what happened to a dog and a sports team in Ecuador. An extreme sports team, the Peak Performance Adventure Racing Team, found a friend in the most unlikely time. 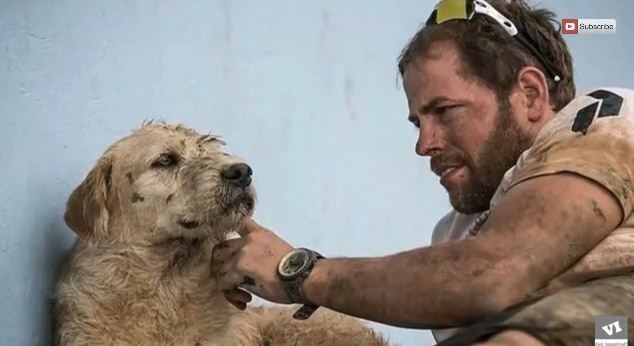 They were on a mission to accomplish the world championship of a 430-mile endurance race through Ecuador when they met a stray dog. One of the members of the team fed him. But they didn’t expect what happened next. The dog followed them all the way! They tried to avoid the dog because they were concerned about his safety, but the dog just kept on following them! Watch the rest of the heartwarming story in the video below! Amazing! Even when they were in the water, Arthur swam to follow them! What a beautiful, heartwarming story! They went to Ecuador to win a championship, but they got something even better. A true-blue, loyal friend.